America, meet Marvelle Harris and Fresno State. On the strength of a 68-63 win over perennial Mountain West power San Diego State in the conference’s championship game on Saturday afternoon, the Bulldogs will be dancing for just the sixth time in program history and the first since 2001 (back when Jerry Tarkanian was still chewing towels on the sidelines). Harris poured in 18 confident points en route to the tournament’s Most Outstanding Player award, backing up league coaches’ decision to name him the Mountain West Player of the Year. 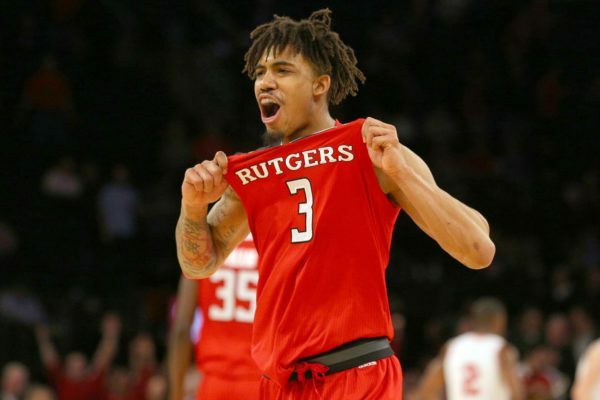 There is no doubt that Harris is the type of talent that can carry his team to some success in an NCAA Tournament game. 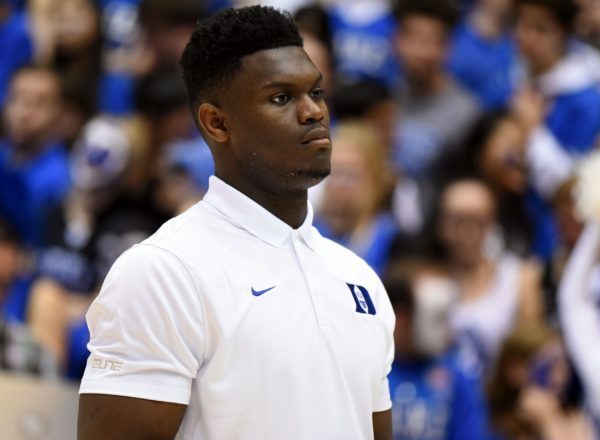 He’s a versatile senior scorer (20.7 PPG) who can hit from deep (witness his 25-footer to end the first half on Saturday), score at the rim (62.9% FG on his 175 attempts at the rim this year), or draw defenders and create for his teammates (assists on 26.1% of his teammates’ field goals while on the floor). 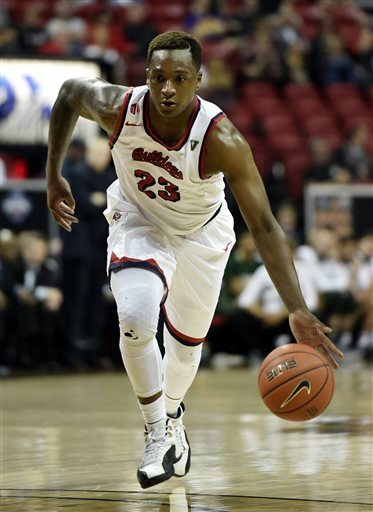 On a team with six upperclassmen among the eight players who saw significant minutes on Saturday, there’s enough experience joining Harris to making the Bulldogs’ NCAA Tournament stay extend beyond Friday. It’s been a rough road for head coach Rodney Terry in his first head coaching job after nine seasons as an assistant at Texas. His first season at Fresno was the school’s final season in the WAC, a year in which the Bulldogs won just three conference games. His first full recruiting class (which led into the program’s first year in the Mountain West) was highlighted by the addition of prominent recruits like Robert Upshaw and Braeden Anderson, but it turned out that Harris was the only player in the class able to make a lasting positive contribution. From there, Terry mined his Big 12 roots and pulled in players like Cezar Guerrero (transfer from Oklahoma State), Julien Lewis (transfer from Texas) and Karachi Edo (a high school recruit from Texas). The Bulldogs have improved in each of Terry’s five years at the helm: five wins in the first year in the Mountain West; a .500 record in 2013-14; an additional conference win last year; and now this season a surprising 13 league wins, a second place regular season finish, and the league’s automatic bid to the NCAA Tournament. It’s a week of callbacks in the Mountain West check-in because a lot of the things we talked about last week at this time proved particularly relevant in the interim. Before we jump into team-by-team breakdowns, however, let’s hit the big story: San Diego State going a long way toward wrapping up at least a share of the regular season title for the fifth time in the last six seasons. The Aztecs knocked off New Mexico on Saturday night, bumping their conference record to 11-0 and establishing a three-game lead over the Lobos in the loss column with seven games remaining. It wasn’t a dominant win and the Aztecs needed a fortunate (but not egregious) call with 12.9 seconds left to have a chance to tie the game. But, credit to Steve Fisher’s bunch, they made the most of the second chance by nailing a three from Malik Pope to send the game to overtime and then taking care of business from there. With the win, San Diego State continued its ascension up to #44 in the RPI and #64 in KenPom. What this all means is that there is some lingering hope around the conference that a second NCAA Tournament bid is possible. That would of course have to mean some team will knock off the Aztecs in the conference tournament, but six of those 11 conference wins have been decided by only one possession. In other words, if the luck factor in close games reverts to the mean, the Aztecs will have some losses coming between now and Selection Sunday. 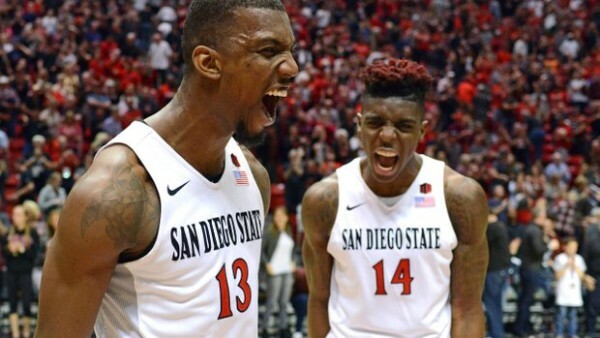 San Diego State (18-6, 9-0) – Last week we dug into the Aztecs’ ongoing streak of what was then 159 straight wins (and 224 out of 225) when leading games with five minutes left to play. Since that post, the Aztecs found themselves ahead two more times with five minutes left, and in both games, with the outcome with a minute to go was severely in doubt. Against Colorado State, it was the Rams turning it over on three consecutive possessions and a contested layup at the buzzer that came up short. Against New Mexico it was a poorly executed in-bounds and a technically incorrect (but completely understandable) call. But here we stand with the streak now at 161 games. It’s not exactly on par with UCLA’s 88-game winning streak. Or DiMaggio’s hitting streak. But it is sort of mind-boggling. And I’ll certainly take it over the Globetrotters. One other note from the week: big men Skylar Spencer and Angelo Chol combined to play 85 minutes and between them went 10-of-13 from the field, scored 20 points, grabbed 21 boards and blocked five shots. However, despite 13 feet and five inches of frontcourt goodness, the pair earned exactly zero free throw attempts. Its been too darn long since we’ve done one of these, so let’s do this right and get caught up on the Mountain West. We’re basically halfway through conference play with eight of the 11 teams having played at least nine conference games, and San Diego State has clearly established itself as the conference’s best team — off to a 9-0 start that gives them a game-and-a-half lead over two-loss New Mexico. Before we get into the team-by-team rundowns, let’s take a moment to congratulate the conference on the fact that, in an era of the horrors of unbalanced scheduling in large conferences, its brass made sure that the league’s top four teams (San Diego State, New Mexico, Boise State, UNLV) play each other twice. Sure, it’s easier to set that up when the league only has 11 teams (where you only miss a home-and-away schedule against two conference foes), but regardless of how, that part of the schedule is right this year. San Diego State (16-6, 9-0) – I wrote plenty about the Aztecs yesterday, so go read that article first. But, there’s also the matter of San Diego State’s 17 million straight wins when leading with five minutes remaining in a game (actually, the number now stands at 159 straight). Now, that number sounds impressive, and it is (Mark Zeigler noted three weeks ago that the next longest streak in the conference is at 14 wins). But even more impressively, that time 160 games ago when the Aztecs lost a game after leading at the five-minute mark was when Wyoming hit six threes in the final 4:12 to outscore the Aztecs 24-8 over that stretch. Even crazier: That loss broke another long 65-game Aztec streak of winning games when they were ahead at the five-minute mark. By my math, San Diego State is 224-1 in the last 225 games where it led at the five-minute mark. Go read that excellent Zeigler article about the streak. There’s a lot more great stuff in there too. New Mexico (13-8, 6-2) – After getting handled by the Runnin’ Rebels in UNLV’s first game post-Dave Rice a couple weeks back, the Lobos came back and got surprised by Wyoming in The Pit. It was easy to write New Mexico off at that time, and wins at San Jose State and at home against Air Force did nothing to change that idea. But Saturday night in Boise changed this up indeed. Behind a 30 points from Elijah Brown and 21 from Tim Williams, the Lobos had a terrific offensive night, kept their turnovers in check and served notice that despite some early season bumps and bruises, they were going to stick around for awhile. In that loss to Wyoming, sophomore point guard Cullen Neal suffered a concussion and missed the win over San Jose State, but in the two games since then, Neal played his best back-to-back games of the season, averaging 11.5 efficient points and a combined six assists to three turnovers. On Saturday evening, San Diego State completed a perfect first half of conference play by going into the Thomas & Mack Center and coming away with a comfortable 15-point win over UNLV. As usual, the Aztecs earned the win not on the basis of amazing offense, but on athletic, grinding, demoralizing defense. 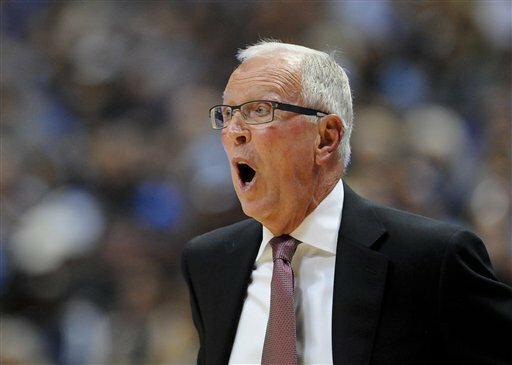 Steve Fisher‘s team blocked seven shots, challenged seemingly every jumper and held UNLV to a mere 0.83 points per possession. The Aztecs played slowly (34.7 percent of their possessions ended with five seconds or fewer on the shot clock), deliberate and, yes, maybe a little ugly. But none of this is new. Fisher’s heyday on Montezuma Mesa has been marked by defense-first teams, and increasingly, a slow tempo has corresponded with that. Perhaps unbelievably given how defensively-oriented his teams have been, this year’s group is more reliant on that defensive identity than any previous team in the Fisher era. First, let’s look at the history. In each of the Aztecs’ last 10 seasons, the team has ranked higher nationally in defensive efficiency than offensive efficiency (per KenPom). Furthermore, the Aztecs have been among the top 10 defensive teams nationally four times, and their adjusted defensive efficiency has checked in below 90 points per 100 possessions three times (including this season). In seven of those 10 years, the Aztecs have played at a bottom-half tempo nationally. As a result of all these numbers, San Diego State has gone 250-85 (74.6%) overall, 113-42 (72.9%) in the Mountain West, taken six trips to the NCAA Tournament, notched the only five NCAA wins in program history while there, and earned two Sweet Sixteen appearances. It’s been a couple weeks since we’ve done one of these because of holidays and real life, but it is time to jump back in as plenty has gone down in the Mountain West since Christmas. We’ll get to all the goings-on around individual teams below, but if you need a one-sentence summary of the season so far, here you go: Barring completely unforeseen circumstances, the winner of the Mountain West Tournament in Las Vegas will be the conference’s sole representative in the NCAA Tournament for the first time since 2001, the league’s second year of existence. And to show just how wacky this league is this year, I’d probably bunch four teams ahead of the pack as favorites to win that tournament. Of those four, three are undefeated in league play. 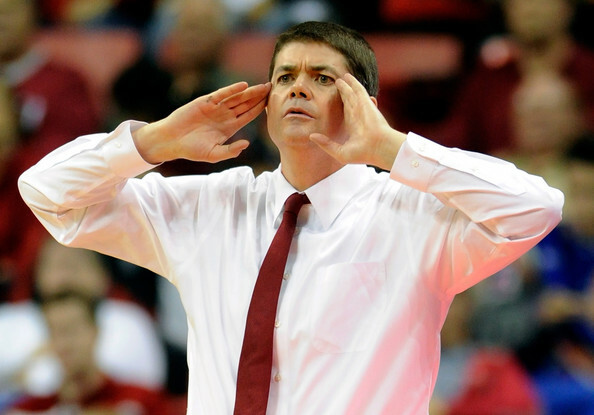 The fourth – UNLV, hasn’t won a conference game and just fired its head coach, Dave Rice. We will get the first two matchups of the year among those four teams this week, so let’s jump into the mess that is the Mountain West.